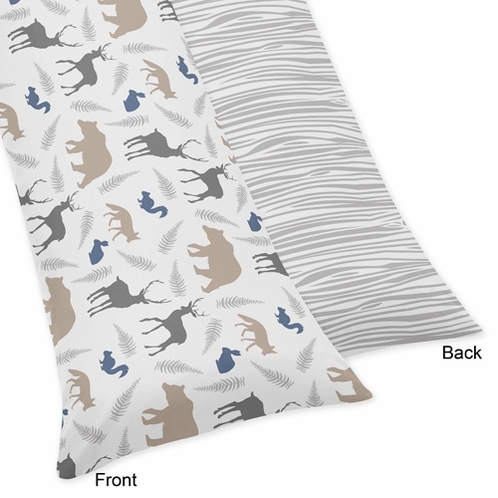 This reversible wood grain/animal print body pillow case is a great way to add that special touch to any room. It is especially designed to fit our matching WHITE CLOUD Down Alternative body pillow and made to coordinate with Sweet Jojo Designs Bedding Sets. (1) Body pillow case - 54in. x 20in.